I was working with a client the other day on a major presentation for them. He outlined the content as it existed in his thoughts so far ( nothing shaped, crafted or created as yet) and asked for my feedback. ‘great content in essence’ I replied, “But…where is the perspective? What are you expecting the audience to do with your content once they have listened to it?” Slightly unfair questions at such an early stage maybe…but important ones if the presentation was to take shape clearly and if my client wanted to use his time well in preparing for his big event. You see – there is a real danger of getting too caught up in the detail of the content too quickly. If you are not sure of the direction, then all the detail does is pull you off course. And effective presentations, ones that are memorable, ones that influence ones that have power – they always have a perspective, a slant to them…that’s what makes them stand out from the crowd. How many presentations have you been to where you can predict the content and maybe even the words and phrase the speaker is going to use even before he or she has spoken? Certainly, that is the dilemma facing lots of businesses nowadays. It is the curse of the pitch for investment or sales and don’t get me started on the senior management team’s ‘state of the nation’ speeches! Choose a perspective, it might even be a controversial one, and get passionate about it. Let that perspective guide you to your call to action, the questions you use, the imagery you employ, the style of delivery you use. If all you do is regurgitate the known, the familiar, then your presentation will be confined to the dark recesses of someones mind – another bland-as-dish-water presentations. Add in your opinion, do some research, find an angle…and suddenly you help your audience see through fresh eyes. And my client? 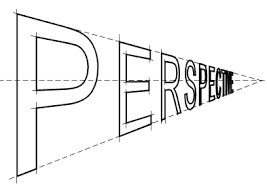 Well he is working on his perspective…and I think it will be good…very good in fact. If you want help in crafting your message, then get in touch. In the meantime why not get in touch and tell me about some of the great presentations you have attended. When flying by the seat of your pants can backfire!